GAUSS designs, manufactures and launches PocketQubes, a class of miniaturized satellites: ultrasmall platforms measuring 2 inches per side/approximately 5 cm cubed and weighing up to 250 grams. They can be of one or more cubic units, like CubeSats, and they belong to the class of picosatellites (similar to the CubeSats but smaller). They are the smallest satellites ever made. This type of satellite is quite young – started in 2009 – but their importance is increasing at warp speed. The original idea came from Professor Robert J. Twiggs from Morehead State University (MSU), who proposed the standard of “a satellite that fits in your pocket“. 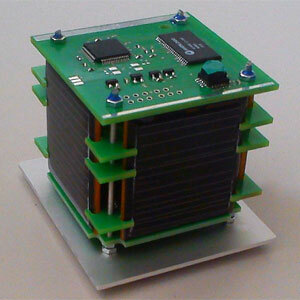 The first PocketQubes specifications were developed by Morehead State University (MSU) and Kentucky Space. Since then, interest for PocketQubes has arisen from the Space industry and Companies such as GAUSS took the challenge starting dealing with them and providing services for PocketQubes. Indeed, on 21 November 2013 the first 4 PocketQube Satellites launched into outer Space were onboard their mothership UniSat-5. GAUSS Flight Heritage includes an ad hoc Deployer to release PocketQubes – the MRFOD (Morehead Rome Femtosatellites Orbital Deployer) result of a cooperation between Morehead State University, Kentucky Space and GAUSS Srl. These tiny and reliable emerging satellites are an exemplar of New Space research and innovation. The first PocketQube Standard has been issued in June 2018 by GAUSS Srl, TU Delft and Alba Orbital , providing a shared platform to the PocketQubes community. Download the PocketQube Standard (PDF document) issue 1. 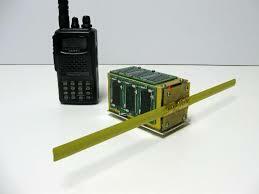 Plans for the future: the next expected launch of PocketQubes shall be on UniSat-7.